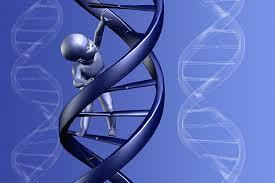 DNA Activations are becoming the “hottest” item in the area of metaphysics. As always, the seeker of higher wisdom and knowledge should exercise extreme caution when investigating new areas of growth and development. As you have seen in the past, many individuals are in this “field” only to make a buck off of innocent people who seek assistance in their everyday lives. Being aware of this, many advocate groups have tried their best to uncover these unethical groups and individuals. Sometimes, the seeker is confused by all of the hype, mumbo-jumbo-lingo, and services available that they don’t know where to turn nor whom to trust. Star Light Connection is dedicated to serving the truth. Sometimes the truth that is represented at this web site will not integrate with the truth that is within your essence and that is OK! Everyone has a different truth, colored and positioned within the very framework of their identity, personality, and character make-up. Each individual truth is perfect. 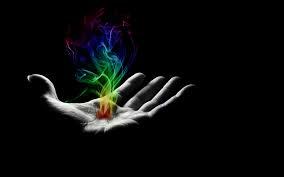 The true metaphysical seeker on the path of soul evolvement is merely seeking their truth in life. When they have discovered their truth, they have evolved. It is as simple as that. Along the path to evolvement, there are many turns and twists. It is by walking your own spiritual path that opportunity presents itself and enables you to clearly connect with your inner self. 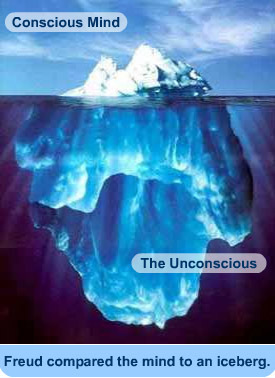 Most individuals have been so accustomed to denying the inner self that they have forgotten how to make that connection—thus, the reason for so many metaphysical “tools” in psychic development and spiritual awakening and so many different points of view. Most individuals walking their soul path can remember wanting to “be a psychic”, “developing their intuition and psychic gifts”, and opening those “latent talents within”. Those tools offered in the 70’s and 80’s took many forms and are still present today. Also, in the 80’s healing was popular and became the “in” thing to discover as well. Discover the inner child, scream therapy, dream analysis, self-hypnosis, meditation, self-healing etc represents only a small fraction of the path of healing that became very popular and still is today. The 90’s brought about the self discovery principles of spiritual origins. Remember hearing the “wake up call?” “Clarion calls?” Discovering your mastership? Following spirit without hesitation? These pursuits brought about much change in the area of psychic phenomenon. “Channelers” suddenly appeared out of nowhere giving information through various means both questionable and others quite wise. From channeling, came the awareness of angels among us. Everywhere people were talking about their guardian angels as well as their spirit guides and helpers. Angel awareness swept this planet like nobody could imagine. Those of you who have the advantage of living close to me and having attended my classes and meditation groups know that I predicted an upswing of angels awareness months prior to it actually happening. I also predicted that many spiritual teachers would pick up on the titles of my classes that I have been teaching throughout the 80’s and 90’s: energy, empowerment and lightbody awareness, and use them in the titles of their classes, programs and workshops. Today, many of the the psychic development programs of the past have become lightbody awareness classes. Old theory, new name and thousands of individuals seeking their truth turn once again to the classrooms of yesteryear. Technology brought to this planet by many beautiful walk-in’s took the shape of “following spirit without hesitations”, “heart breathing”, “crystal removals” and “lightbody activations” in the late 90’s and still remain on the “hot” list today. And what else shares the limelight today? DNA Activations! Two years ago, I predicted to my clients, that the DNA Activations that I was performing on them soon would be hitting the market and DNA activation facilitators would be everywhere. Was I right? I certainly was! The spiritual evolution of mankind has now moved into a new avenue of science. As I predicted over 18months ago, DNA Activations are now the hottest item on the planet. Activators openly advertise and again its has become “buyer beware”! The problem is this: unfortunately many individuals do not have a clear understanding of what a DNA Activation is, nor how to do it effectively. They rely on “spirit” to guide them, (and that is good), however, “spirit” cannot be trusted to be there each and every time. Now why do I say this? Simply because you must always know the LEVEL that is being brought in by your facilitator (for any given spiritual task) but especially for DNA Activation, Lightbody Activation, Crystal Removals, and Integrated Infusions. There are only a select segment of “spirit” that can assist in these procedures with the expertise that is required to pull it off successfully. Others are just “watchers” or “interns”. Specific Karmic codes are required to perform activations, infusions and specialized training is required for crystal removals and lightbody activations. This training is not readily available on this planet and unfortunately the demand for outweighs those who are qualified to do this work. Consequently, you have a lot of “wanna-bees” attempting to do this work and truly being ineffective on the levels that this work indicates. Please note that these statements by no means are diminishing the effectiveness of “spirit” to “intervene” when necessary. Even the beginner facilitator is capable of channeling the highest order of spiritual beings when it is necessary to do so. Remember that just because a facilitator was successful with one individual, does not mean that they will be as successful with another. spirit intervenes as spirit will. However, specialty training has been offered on this planet through many of the walk-ins that have come here to give this training to the master beings that were open and receptive to it. I am saying here that not all individuals claiming to be “trained” are in fact truly trained. Nor for that matter, have the necessary security levels, clearance codes and the authority to use them to perform these functions for individuals. I am merely trying to point out that one should be especially careful when seeking individuals out who would facilitate crystal removals, lightbody activations, light infusions and integrations, DNA Activation, code release, merkabah energies and a whole lot more that is yet to hit this planet. Please ask for accreditation, certificates, etc and check them out! Just as a person would check out the credentials of a physical brain surgeon before submitting to a brain operation, please check out the certification and credentials of your lightbody facilitator. Word of mouth is not good enough. Check them out! Dig into their credentials. Ask to see certification. Please be careful. Do not believe everything you read…..remember…..what you are reading is someone else’s truth–not necessarily yours. Even this article that you are reading right now is MY Truth, not necessarily yours. However, if you are raising a question within your mind, heart, or if you feel a tension in your body, your essence is saying that something you are reading here is ringing true…..what is it??? Religious people talk about the second coming of Christ and say that there will be many false prophets before He/She comes. As in the Bible, false prophets also stand before you in the area of metaphysics! Please take note and be prepared. If you just take time to know your own truth, you will see these “false” prophets in every area of your life with complete clarity. I cannot comment what other people are doing for their activations or the claims that they have and are making. All I know is what my DNA Activations consist of and what I know will come as a result from them. First, let me state that I am a trained and certified DNA Activation Facilitator from Oughten House. I was trained by Robert Gerard, founder of Oughten House and DNA Facilitator. The method of DNA Activation that I have been trained in can be read about in his book about DNA Activation. In this book, he describes the scientific data that backs his training classes. Briefly, this method of DNA Activation allows both the facilitator and the client to actively participate in their own DNA Activation. The facilitator enters the crown chakra of the client and begins to make contact with the Youth and Vitality Chromosomes of the Great Central Cell. an activation procedure then ensues. The result of this activation (done in 2 stages) is that the individual will stop the aging process of the physical body, and will be able to regenerate themselves into a state of perfect harmony and balance. This puts regeneration at the hands of the client. This process is done in 2 stages. I have performed this type of DNA Activation for nearly two years. Of course nothing stays the same and I have continued to evolve myself. I have made the following observations regarding this type of DNA Activation. 1. It works for everyone–regardless if you believe it does or not–it works. 2. Some people cannot hold the responsibility of being in control of their health and unconsciously turn this activation off again and resume the death and dying syndrome program that is associated with the physical third dimensional body. 3. Individuals who have their crystals in receive benefit from this activation. 4. Individuals who have their crystals out and then get this procedure done have a greater benefit from Level I and Level II DNA Activation. 5. A DNA Reinforcement tape (which I sell) greatly assists individuals to maintain communication with the DNA Activation long after the original contact time with the facilitator. It also assists to re-awaken the activation when issues as high stress, trauma, physical illness, etc shut the process down, or diminishes the process. 6. This form of DNA Activation can be done remotely (by the telephone) and I do lots of them each week! Followed up with a reinforcement tape, the individual is set to go! I have also discovered a method of uniting both Level I and Level II Activations together into one session. This combined activation is very powerful and I highly recommend it to everyone reading these words. As all things evolve and have a tendency to improve upon themselves, the DNA awareness that “spirit” has revealed to me also has moved into another area, several in fact. Let me explain to you what that can mean to you as a spiritual seeker. Tashira-Tachi-Ren, when in body, trained me and several other individuals as etheric laser surgeons. Tashira wrote the book What is Lightbody? and was associated with Angelic Outreach. As a certified, trained, and Level III Degree Etheric Laser Surgeon, I have access to many of the security codes, karmic codes, and clearance codes as well as the authority to use them. In my practice as a healer, channeler, psychic and etheric laser surgeon, I am continually seeking ways to help individuals to evolve spiritually. Recently, I have been granted access to yet a deeper, more profound method of DNA Activation. It involves using the etheric lasers. This DNA Activation works exceedingly well on individuals who have already had their crystals removed. Like butter, the lasers activate each code process within the DNA of YOUR chemical makeup. This ultimately places you in the drivers seat of your life. This is truly empowerment! What is my Aura color – red, orange, yellow, green, blue, indigo, violet, turquoise or pink?